WASHINGTON – Inflation pressures appear to be building in the U.S. economy, a prospect that is heightening anxiety about potentially higher borrowing rates that could slow economic growth. For now, prices aren’t rising fast enough to cause pain for many consumers. Even modestly higher inflation, though, could lead the Federal Reserve to more quickly raise short-term interest rates. That could lead to higher borrowing costs for individuals and businesses. Wednesday’s data makes it more likely that the Fed will raise rates four times this year, economists said, rather than the three increases that Fed policymakers had forecast in December. Most analysts expect the Fed to resume raising rates in March. It most recently did so in December. A closely watched barometer of “core” U.S. consumer prices, which excludes the volatile categories of food and energy, rose 0.3 percent from December to January, the Labor Department said Wednesday. That was the sharpest monthly increase since January 2017. Even so, over the past 12 months, core prices are up just 1.8 percent, and overall consumer prices only 2.1 percent. Those figures are close to the Fed’s target of 2 percent annual inflation. And some of the biggest price increases last month probably won’t last. 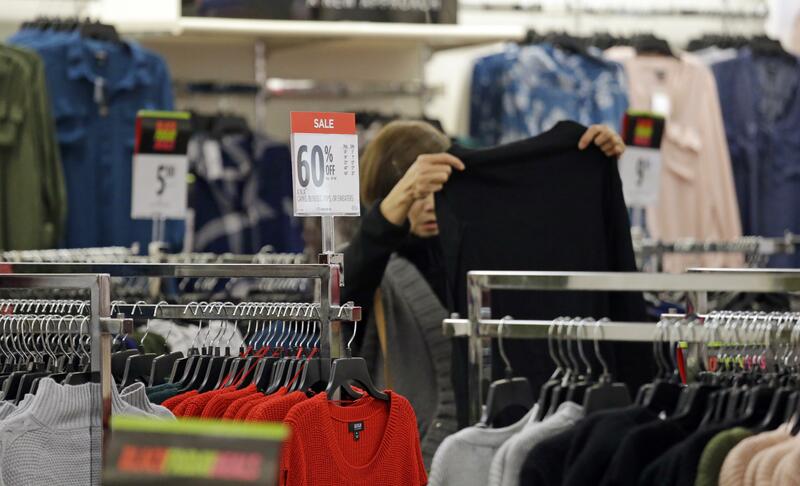 Clothing costs jumped 1.7 percent, the sharpest monthly increase in nearly three decades. That likely reflected a rush to buy winter clothing during the freezing winter weather, which followed mild weather in November and December. “While we have been looking for inflation to firm, we think last month’s increase probably overstates the underlying trend,” Michael Feroli, an economist at JPMorgan Chase, wrote in a note to clients. Even so, core prices have risen at a brisk 2.9 percent annual rate over the past three months, so January’s increase wasn’t merely a one-time blip. And economists note that the cost of services, including rent, education and haircuts, is also moving up, a trend that appears likely to continue. Service prices tend to be stickier because they aren’t affected by the cost of volatile commodities such as oil. Most economists now expect core inflation for 2018 to amount to about 2.5 percent. Still, the retail sales decline was fueled partly by trends that probably won’t persist. Car sales and sales at home and garden stores fell sharply as unseasonably cold weather kept potential customers at home. Auto sales had also jumped in the wake of last summer’s hurricanes as many Americans replaced destroyed vehicles. Such purchases are now dropping as that process is likely complete. “There’s more noise than signal in the retail sales report,” said Michael Pearce, U.S. economist at Capital Economics. Published: Feb. 14, 2018, 2:06 p.m. Updated: Feb. 14, 2018, 3:54 p.m.